Come along to the Green Fair at the Methodist Church, the Hundred, Romsey -10.30am - 2.30pm. There will be stalls, activities and presentations from several groups including Test Valley Friends of the Earth and Transition Town Romsey. There will be lots to see and do for all the family - further details to follow! Do contact us if you would like to be involved. Saturday, March 9th, 10.30a.m. - 2.30p.m. TTR are having a joint stall with Test Valley Friends of the Earth and will be displaying a range of practical alternatives to everyday products made from plastic. There will be plant pots made from rice husks, toothbrushes made from bamboo, and food covers made from waxed cloth, to name a few. We will have a list of local stockists of the products displayed and visitors can add to this list during the Fair. Afterwards, the list of stockists will be put on the 'Useful Information' page on this website. Friends of the Earth will also be informing visitors about their campaign to get supermarkets to reduce their use of plastic. Recycling tips for those plastic products, which are either difficult or impossible to replace, will also be available. Again we are hoping that visitors will add to the list, which will again be put on the 'Useful Information' page of this website. Other exhibitors include: TVBC, Romsey Allotments, A Rocha UK, HIoW Wildlife Trust, Oasis, Southern Water, Natural Death Centre, TROG, Re-cycle Bikes and displays by a number of local schools. 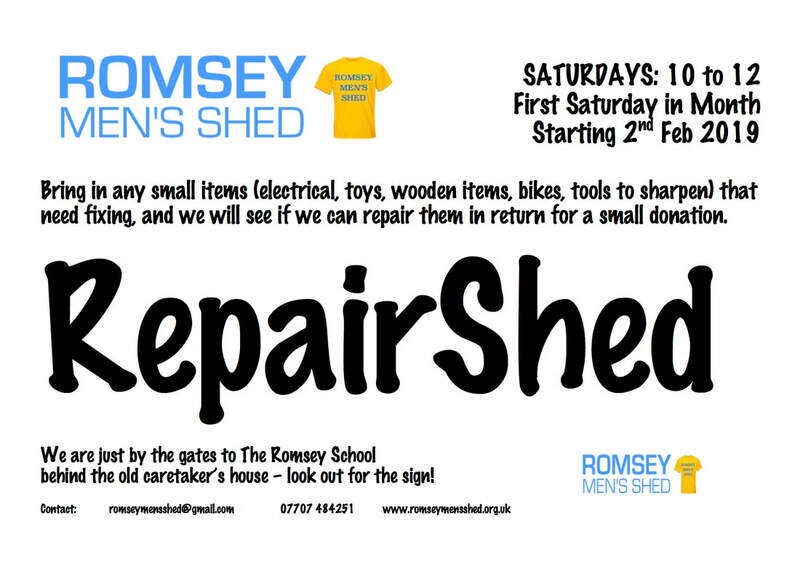 Following the success of the trial 'Repair Shed' days, Romsey Men's Shed will be opening again for business on Saturday, February 2nd, 2019 from 10.00a.m. - 12.00p.m. Then on the First Saturday of the month. Transition Town Romsey would like to take the opportunity during ‘Recycling Week’ to announce their support for a new recycling initiative to be trialled in Romsey by local charity ‘Romsey Men’s Shed’ (www.romseymensshed.org.uk) . The trial will take place on Saturday October 27th (with further dates fixed for November 10th and November 24th) from 10.00a.m. -12.00p.m. at the Men’s Shed (behind Company House at the main entrance to Romsey School). Members of the public are invited to bring along clean, portable items in need of those small repairs, which local tradesmen would not be interested in doing. 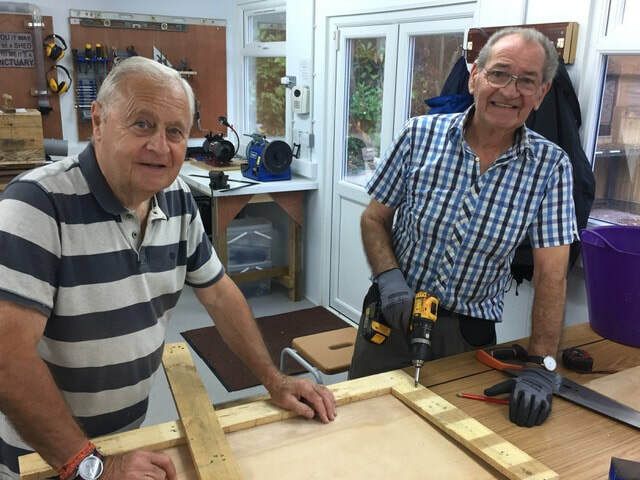 For a donation, the members of the Men’s Shed will assess whether they are suitable for repair, and those that are, can be collected at a later date. The type of repair will be limited to the skills of the volunteer repairers, but it is hoped this will widen as more repairers come on board. To begin with: small electrical items; toys; wooden items - such as small pieces of furniture; and toys will be considered alongside a tool- sharpening service.